Our car is very often one of the most precious items we own. So we take care of it with love and care. So any issue that our vehicle faces, we sure to get it fixed immediately. But car scratches can be among the most infuriating to get rid of. Often we try to paint over the scratches which require a lot of work. We have to ensure that the paint matches the exact color of your car. We also have to make sure that the paint job does not seem tacky and is not gather in one place of the work. A common method we use to get rid of car scratches at home is toothpaste. Although this may work, the best solution for your car is to invest in some of best car scratch removers. There are many brands and types of car scratch removers available in the market today. Before deciding to purchase a car scratch remover, consider if you will need professional help. A paint job done at auto workshops consists of three layers. As opposed to the length, assess the depth of the cut. While running your fingers over the scratch, if it feels deeper than the first layer (anything more than a paper thin cut), it may help to get professional help. However, first layer car scratches are the most common and easy to fix. While looking for car scratch removing products, look for some features that stand out and will work efficiently as a product. Choose products that can work on scratches, blemishes and water spots. The product should have advances formula and should not leave behind rough patches when used. Try and choose products that sell the whole package – microfiber towels, applicator pads and an extra bottle of the repair compound. Investing in a kit that has everything will be less costly. Quality car scratch remover products should effectively breakdown the paint layers and only work with a color layer to cover up the scratch. And finally, invest in a product that works well with any kind of paint. This will reduce the chance of the product leaving behind paint smears. The Meguiar's Ultimate Compound has new abrasive technology, which quickly removes stubborn oxidation, stains, bird dropping blemishes and other sub-surface defects while polishing the surface to a mirror finish. Unlike traditional rubbing and polishing compounds that scour the surface, this new clear coat safe, micro-abrasives, produce an amazingly clear finish that is free from scratches, hazing and swirls. Quixx Car Paint Scratch Repair/Removal System - Quality @ Its Best. Ultra-fine polishing compound helps remove fine scratches, scuff marks, and swirl marks. ;Car scratch remover that produces a wet-look, glossy shine with no powdery residue. ;Easy car detailing -- safe to use on all painted finishes, including clear coat. ;Just buff it on and wipe it off for easy car detailing. ;Car scratch repair that is easy to use and easy to clean up. Easy to use and guaranteed - Reduces the appearance of deep scratches. Great for removing paint scrapes, scuffs, haze, and swirl marks - Available in convenient 6.5 oz. inverted bottle. Scratch Out - Scratch & Swirl Remover Removes Fine Scratches & Swirl Marks. Restores Colour & Gloss. Unique micropolishers remove fine scratches, swirls and haze from all auto paint finishes. Removes minor paint marks and water spotting quickly and easily. Restores paint colour, making paint finishes look like new. 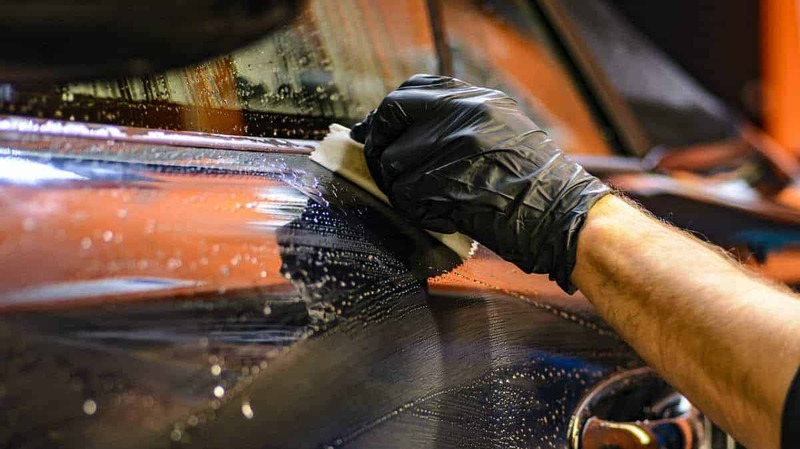 Won't scratch clear coat paint like conventional rubbing compounds. Exclusive non-abrasive liquid formulation is convenient and easy to use. Helpful Hints Don't place grocery bags, luggage or other objects on the car top or trunk. Never "dry wipe" your car with dry cloths, as it may cause scratching. Rinse wash mitts or rags often to remove scratch-causing dirt and grime. Use a gentle stream of water when rinsing your car, and avoid the high-pressure handles that have become so popular. They can drive dirt and grime into the finish, rather than wash it off. Frequently Asked Questions How does Scratch Out work? By utilizing a special blend of micropolishing agents and silicone blends, Scratch Out is able to re-level the paint surface and make it uniform and smooth. Unlike abrasive rubbing compounds, Scratch Out won't damage clear coat finishes. How can some paste rubbing compounds actually damage my paint finish? Paste rubbing compounds were developed for old-fashioned lacquer or acrylic lacquer paints that dulled from oxidation. They are very abrasive. Scratch Out is made for clear coats, so it's non-abrasive and won't scratch or harm paints. What causes swirl marks? Swirl marks are actually microscopic scratches in the finish. These are often caused by hand application or removal of harsh car waxes or paste rubbing compounds.